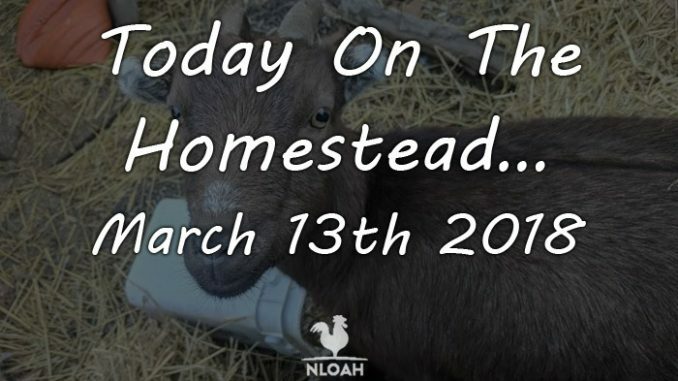 It has been a very busy week on the homestead…again. We have been incredibly productive, but while averting one tragedy, another happened. As NLOAH readers already know, we have been living in a mud bug created by an unusually harsh winter with a mountain of snow and flooding to contend with. We seem to keep alternating between unseasonably 55 to 70 degrees days, some with rain and some not, and then a sudden return by Old Man Winter who dumps an inch of snow on us again. Well, Saturday was one of the unseasonably nice days, so my homesteading hubby took advantage of the brief inclement weather reprieved to work on our farm road. 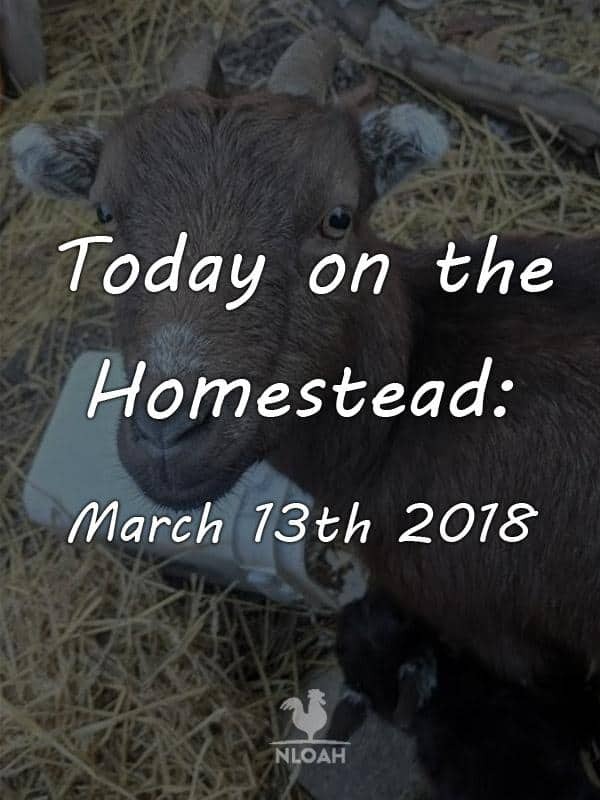 It is a ½ mile up a winding hill drive from the country road to our house and about another ½ to my barn, and then up a short but steep hill, to the glorious upper pasture of our dream homestead. I so love it up there, you can look in any direction and have absolutely no clue what century it is – the whole area is pristine and free of any signs of modern life. I was working on some homemade baby blanket gifts with my embroidery machine – four loved ones are having babies – this hard winter likely produce a baby boom in our Appalachian region. I get a text from my Bobby to come down to the barn with the wheeler and shovel. He neglected to tell me he was dangling over a crumbling ravine on the backside of my barn in his text. Front side of my cool old barn. I have big plans for the extra pieces of rusty corrugated metal. I think it would make a super cool kitchen backsplash after clear coating it. The hubby doesn’t agree, but I always get my way eventually – I keep telling him it’s quicker and simpler to just cut out all the negative discussion and give me my way, maybe one day he will learn it is far less stressful to simply give in immediately. I get down to the barn and see neither Bobby nor the small tractor anywhere. He suddenly appears from behind the barn and waves me inside. I drive through the gate and then I see it: a muddy mess covering an orange little tractor with only three wheels still on what has been passing for solid ground lately. It takes me a few moments to recover from thinking about the roll over and crushing that could have just happened. Since my beloved is also a captain on the county fire department, he knows full well what such an accident looks like. I hit a button and release the wench on the front of the four-wheeler, so he can attach it to the muddy farm machinery. I put it in low and 4-wheel drive and it still took about 15 minutes to get the tractor free. Most of the time, the lighter-weight front end kept popping off the ground, making me extremely worried about the heavy back end with the blade attach, was going to cause it to flip backwards with my Bobby still in the seat. He dared to laugh at me when I told him to be ready to jump – but his full of male bravado smiled disappeared when I threatened to send his mother a video of what we were doing. 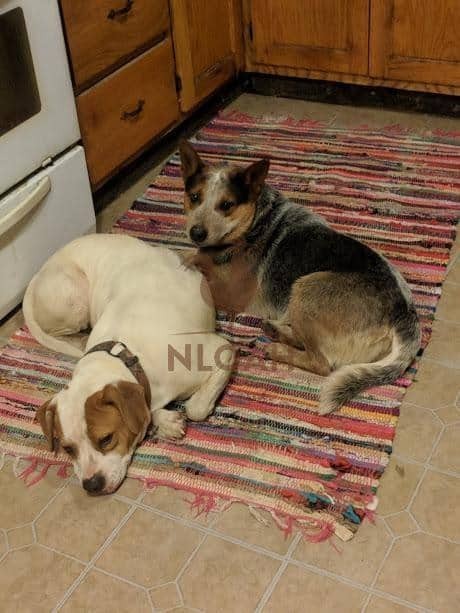 While we were freeing the tractor, our two blue heelers and our daughter and son-in-law’s dog, Daisy, who is part pitbull, were roaming about the barnyard. They have done this literally thousands of times before, without any real incident. Daisy and Ruger waking up from a nap. We believe she is pregnant with Ruger’s babies at the moment. 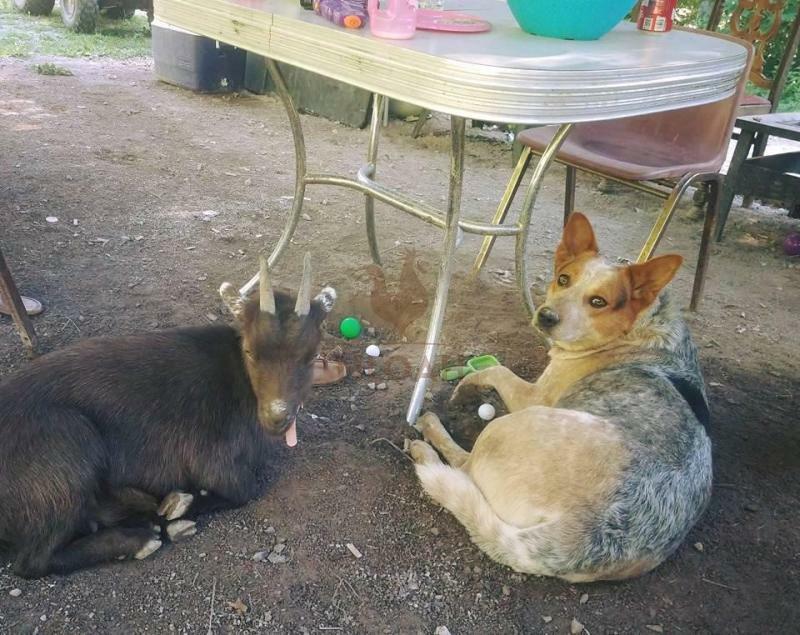 Daisy and Ruger, Bobby’s heeler, like to chase the goats, but I had broken them of that, or thought I had. Every morning, Daisy and my blue heeler, Jovie, go to the barnyard with me to do chores. Daisy is so afraid to go around the goats after my firm correcting, that she gives them at least a 10 foot berth – at least when I am in the near vicinity. 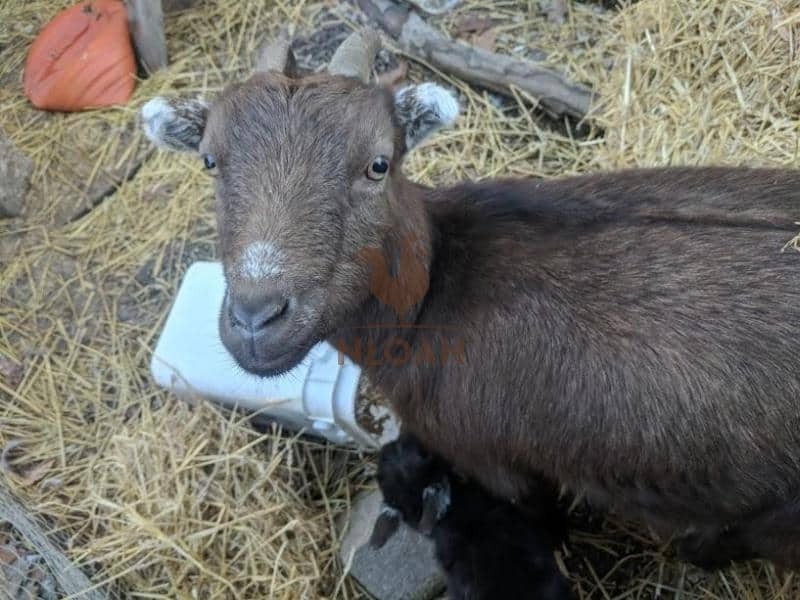 I don’t have to be within 30 feet of her or even looking, for her to stay in the middle of the barn and connected pole barn area, well away from the goat family. When Ruger joins in, that I have to remind him and Daisy not to chase my goats. I haven’t had to do that in a while either. But my moment of carelessness, not thinking about Ruger and Daisy roaming while my focus was on the near wreck, may have cost my sweet Pearl her life. I couldn’t hear it above all of the tractor and 4-wheeler noise, but Pearl was wailing in pain and being attacked in the middle of the barns by Daisy. Ruger and Jovie were in the mud bog with us, but Daisy had apparently wandered off. Daisy always minds me, I only have to say her name and she behaves perfectly, and rarely ever needed correcting. We all bragged on her, how smart, gentle, and obedient she is. Well, she was until she wasn’t. She would not stop attacking Pearl and growled at me when I tried to pull her off. There was no way I could grab my gun out of my barn bag on the wheeler to shoot her and not get Pearl too – they were flopping around too much. I grabbed a 2X2 board to beat Daisy, and Pearl’s blood flew all over us. Her entire left ear was gone before I even knew she was being attacked. 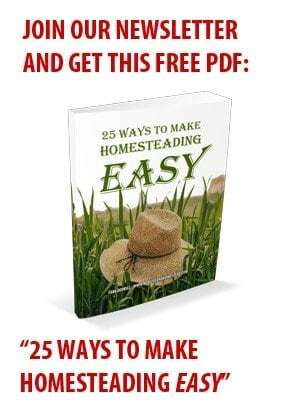 I was a good athlete, a coach, and now a hardworking homesteader. I have the muscles to swing a board and deliver a very hard hit. But Daisy was still unphased. If Jovie had not jumped on Daisy’s back when she growled at me, I would never have gotten her off the goat until Pearl was dead. Once they were separated, Daisy ran into my tack room and Jovie kept her there. Pearl was running on three legs, her front right leg had been bitten into four times, and her head was bleeding profusely where her ear had been. I was so surprised Not Negan, her mate, had not come to her aid. 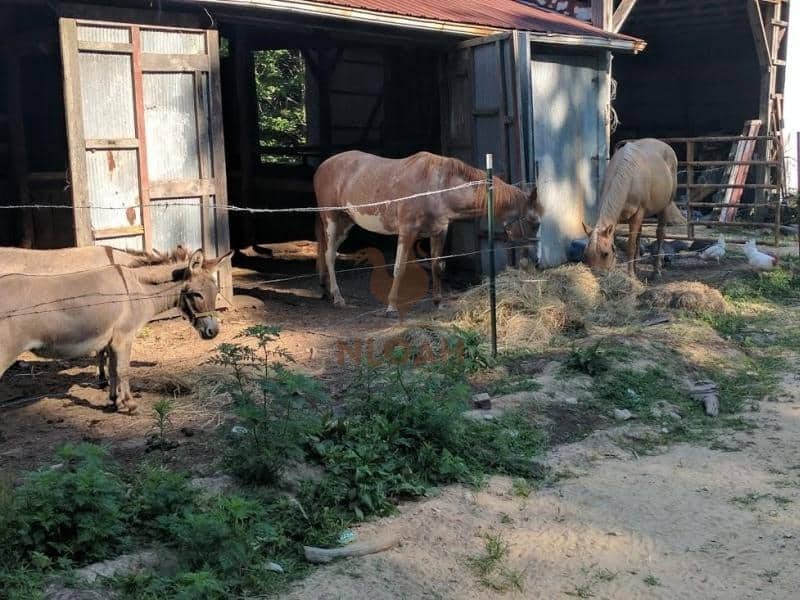 They are never apart and when Ruger and Daisy had chased them, Not Negan used his thicker horns to deliver warning head butts to deter them from coming any closer. He was eating hay with the horses only four feet away from the attack but never budged. photo: Pearl and Not Negan, before she had Rooster. Thankfully, Rooster still wants to nurse, but does not need to and was banded just a few hours before the dog attack on his momma. I couldn’t leave Pearl to run and grab the livestock first aid kit in the tack room, for fear Daisy would grab the opportunity to run back and attack her again. I kept her as calm as possible and looked over her wounds while eagerly awaiting Bobby to roll out from the other side of the barn on the tractor. I was yelling for him the entire time (there was no logical reason to do that), and I knew so at the time. But even though he would not be able to hear me, I kept yelling his name anyway, just in case he could. The wheeler was blocking the gateway from where Bobby was working and when I saw him push it out with the tractor, I thought the help I needed had finally arrived. Instead, he started to turn out of the barn to work on the upper hill. He figured I was having fun in the barn with my critters or taking care of some small chore and had merely neglected to move the wheeler enough out of the road. Thankfully, out of the corner of my eye as he made the turn, he noticed the motion of my waving arms, well, the shadow they made. He didn’t know what was wrong, but knew he needed to come running and that either a gun or first aid kit – or both were likely to be necessary. Pearl and Jovie. Before Pearl got a mate to spend time with, she and Jovie were besties and loved napping in the shelter house together and following me around on the wheeler when I was checking fence line and doing other chores. Wherever I would go on the wheeler, those two were right behind me. My first concern after starting to treat Pearl for the dog attack, was shock. More livestock die from shock after a dog or predator attack than any other reason. She started eating brush while we were tending to her; that was either a good sign or an indicator of bewildered behavior. Bobby carried Pearl into the nursing stall so she would be protected and have a clean environment. It has been cleaned and straw replaced after Rooster was born in December. While the ear wound looked awful, head wounds always bleed a lot, and she could live without her ear and still be beautiful in my opinion. It was the puncture wounds to her little leg that were a far more serious cause for alarm. Puncture wounds are a breeding ground for infection, and infection is the second biggest killer after attacks on animals – or again, humans. We cleaned all of her wounds with peroxide followed by a saline rinse, and then put tea tree oil – nature’s antibiotic, on them. We used a 4X4 bandage to cover the hole where Pearl’s ear used to be to prevent debris from getting into it. Bandaging puncture wounds, especially from dog bites, is never a good idea. Once we were sure her swelling leg was not broken, I made an infection pulling poultice to put on it for a few hours at a time and then replace after air got to the wounds. A simple old-fashioned pulling poultice of milk and bread, with some shredded potatoes and thinly sliced onions is what we have been applying since Saturday. It is now Thursday morning and it appears to be doing its job. There is still swelling, but it has diminished. We keep livestock penicillin on hand, so she has been given that twice a day, along with a tetanus shot we got from the vet, and over-the-counter pain medication. I have also be putting healing herbs and roots on top of her feed, in her water, and on bits of bread she has for a snack. 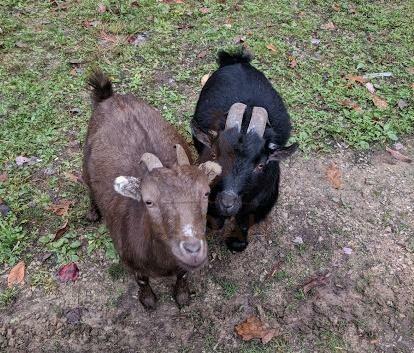 Bread is not a good snack for goats and should always be given sparingly. But, Pearl loves bread and she is getting a bit twice each day right now. It’s not causing her any bloat issues. The second night after the dog attack I let Rooster into the nursing stall and that was a mistake. They missed each other and whined for each other, but Rooster was romping around too much and tried to nurse. He does not need to be nursing on her with meds and infection in her body. They can see and touch each other through the gate. That’s going to have to suffice for contact right now. I have gently been milking Pearl to avoid any problems in that regard. She had been shoving Rooster off when he wanted to nurse for over a week now, but she doesn’t have the ability to do so forcefully enough right now. Daisy has gone to live with a friend of my son-in-law’s who does not have small livestock or children. Jovie is really missing her, and pouting all day long. They spent their days together at my feet, occasionally napping on the couch after treats until it was time for her to walk back home. I hate that she’s gone, but I hate it far worse that Pearl was attacked. Once a dog draws blood and likes it, the animal is just not safe to be around either livestock or children anymore. I don’t know what or why she snapped and probably never will. Daisy had never so much as growled or snapped at anyone before, she defied the image of pitbulls entirely. I was concerned when she came to live with our daughter and her husband when she was a puppy because of her breed. It took a long time not to worry about her being around my very young grandchildren. But I know what a bad rap chow dogs get, and that was all I ever had until we got the blue heelers two years ago. My Fluffy lived to be 17 and was never aggressive but one time – when a dog came into the yard and started a fight. I got bit by Fluffy trying to separate them. He was huge and sweet, just like we all thought Daisy was. I have countless photos of her curled up with the grand kiddos, the kids riding on her back like she was their pony, and videos of her following them around and watching after them and doing as she was told. Pearl is eating, drinking, and having regular droppings. I consider all of those things a really good sign. When I come to the barn for morning feed and chores, which now also includes penicillin shot time, Pearl hops up and comes to meet me at the stall door, eager for her attention and feed – also good signs. Pearl is showing no signs of fever, which is wonderful news. If that swelling in her leg would just go down I could finally rest easy at night. For now, she is holding her own and hopefully by next week, I will have some really good news to report about her health.